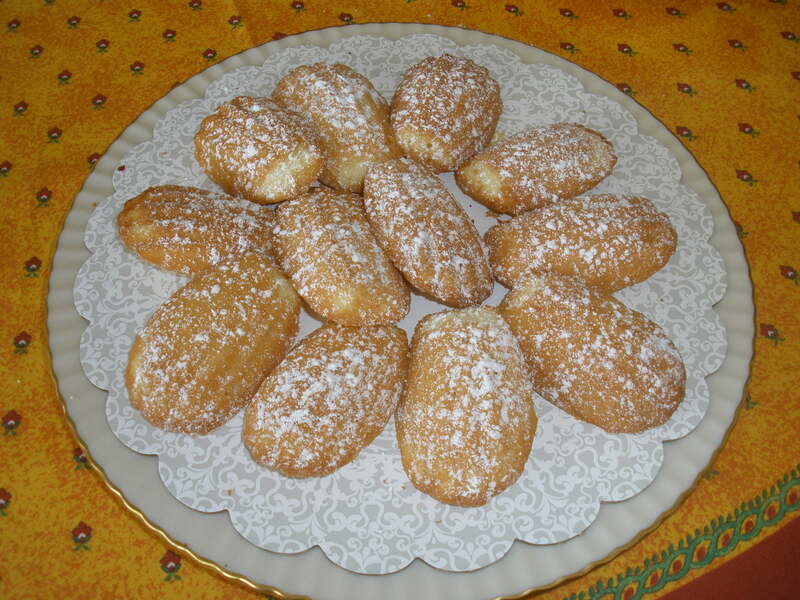 Madeleine is a small rich cake, typically baked in a shell-shaped mold and often decorated with coconut and jam. Origin French, probably named after Madeleine Paulmier, a 19th century French pastry cook. After that short history lesson, here is an easy version, that is light and delicate. You can get the madeleine modes at Williams-Sonoma, on line, or most restaurant stores. There are many variations, I’ve provided the basic recipe and some variation. I hope you enjoy. 10 T unsalted butter, melted and cooled. Preheat oven to 350 degrees. Spray coat your madeleine pans or butter and flour (two 12 hole madeleine pans) or use the same one twice. In an electric mixer, beat the eggs and granulated sugar until creamy. Add the vanilla, lemon peel, & salt. Slowly add in the flour and beat until just blended. Gradually add in the flour and beat until just blended. Gradually add in the cooled butter in a steady stream and mix in well. Spoon approximately one tablespoon of the mixture into each cup, filling it 3/4 full. 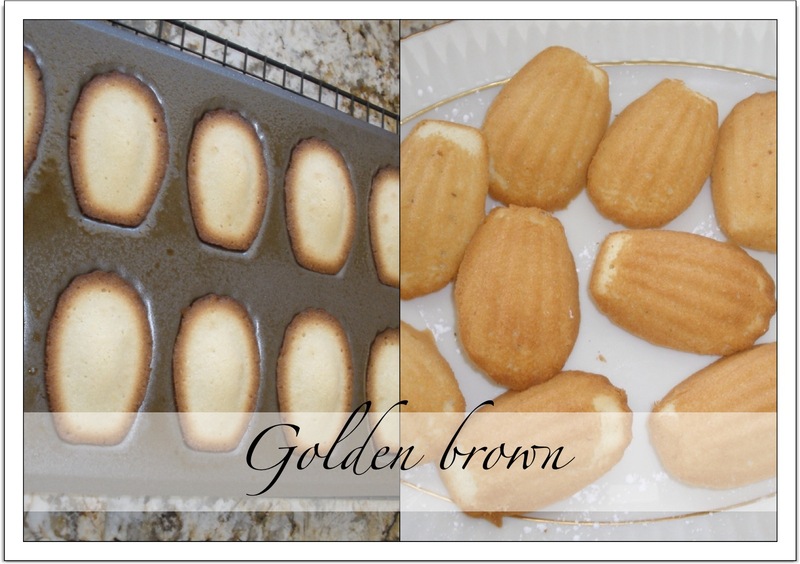 Place on the center rack of the preheated oven and back about 12 minutes or until a cake tester comes out clean and the madeleines are puffed up and golden. Remove to a wire rack to cool and then drop the madeleines out of the pan onto a serving plate. Dust with confectioner’s sugar and serve. Should make 24. Note: If you use teflon coated pans cook for 12 minutes at 350 degrees. If you use aluminum pans, cook for 15 minutes at 375 degrees. The darker pans cook quicker! Combine the chocolate chips and the shortening in a large microwave safe bowl, and microwave until melted, stirring after every minute. Submerge one side of the cookie in the melted chocolate, place on wax paper to cool. Dip in crushed almonds or pistachios for an added treat!! 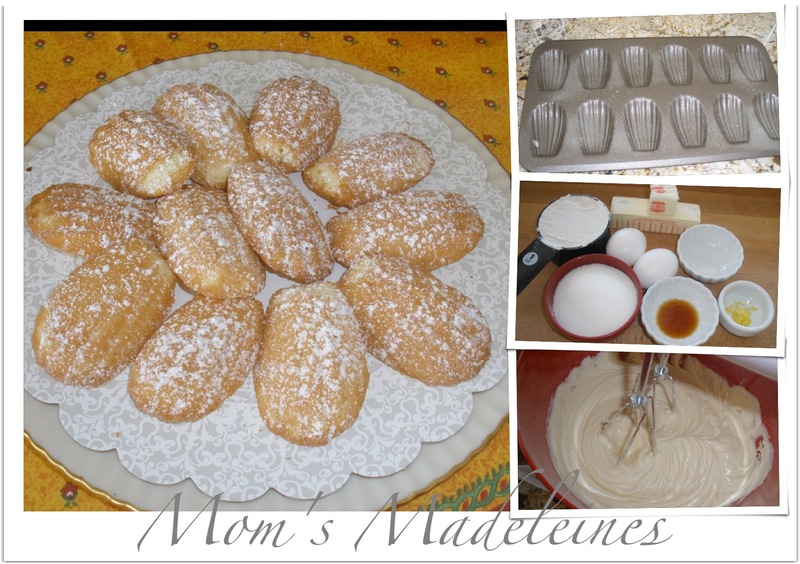 This entry was posted in Desserts and tagged cookie, french pastry, MADELEINE, madeleines, recipe, recipes. Bookmark the permalink.